Due to a lack of time, and writer’s block, today, I’ll let the photos speak for themselves (thanks to my talented friends Rod & Paul for creating such great ones). Have a wonderful Wednesday and I hope your week has been productive and fulfilling so far! Love this outfit, you look beautiful. Ooooh, love the striped pants! The whole outfit is perfection! 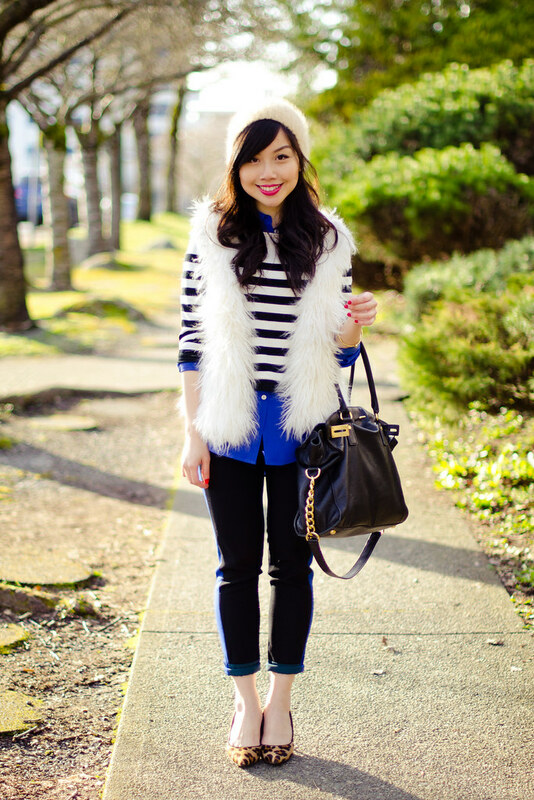 what a great outfit … love that cobalt blue with the black and white …. perfection!! Cute! Love how vibrant these are! And I love the striped pants, so good! The racing stripe on those trousers gives them that special something. Love them! Love the blouse and how it matches with the stripe on your pants!! Jen, you rocked these pants! Love them on you. Love the photos too, very pretty! 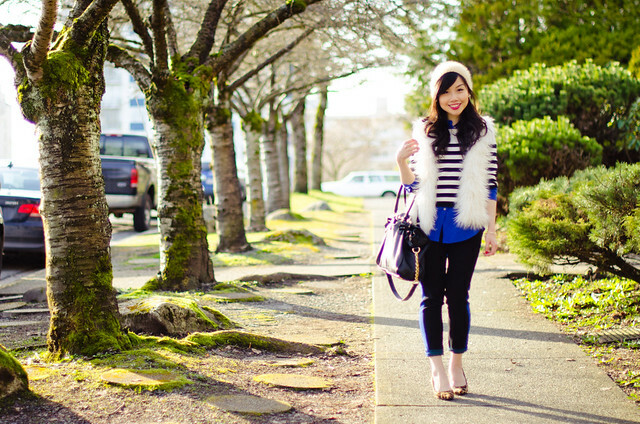 Great photos – love the splash of cobalt in this look! I love how you layered the cropped striped shirt over the blouse. They look so amazing with your sportier pants! I have a pair like that too and this is some awesome styling inspiration! I am so in love with this look. You put everything together perfectly and look so gorgeous! Striped top with elbow patches? OMG. I’m so glad I found your blog. I love your style, Jen! 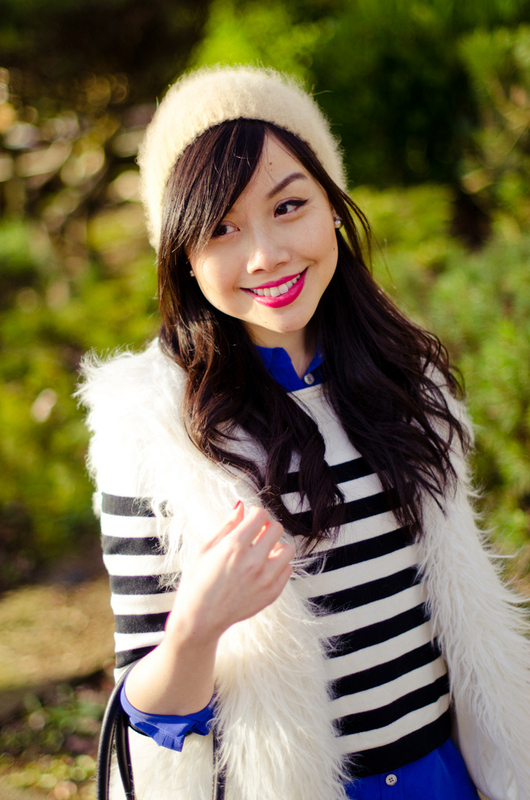 Which vest did you get from yesStyle! I always see that your fur vests are from there but I can never find a good one on the site! What’s your secret, please share! Stunning as always! Looks like you captured the amazingg weather we had this past weekend (it’s welcome back anytime now)! LOVE a punch of pink paired with cobalt blue. The two really make each other pop. Love your look and mixing prints. 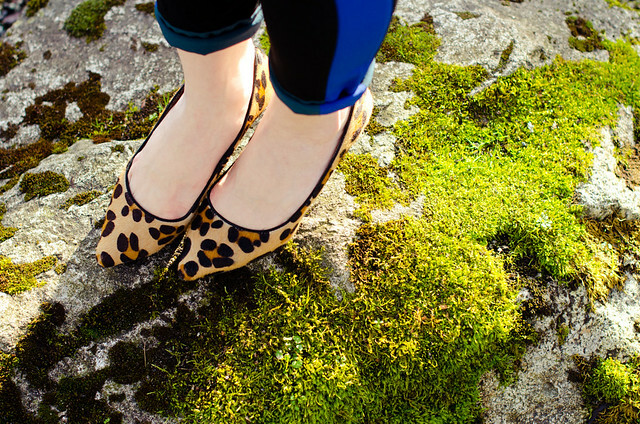 Cool leopard shoes! Fantastic outfit! I just nominated your blog for a Liebster Award too, so feel free to check that out http://fiercefashionator.blogspot.ca/2013/03/please-share.html! Keep up the great work! Great mix of stripes, fur and leopard! So cute!! Just found your blog, yay for a fellow Vancouverite!